As enterprises continue to focus on implementing a cloud infrastructure, many still face roadblocks when it comes to hiring candidates with the right skills. Cloud services are becoming the cornerstone of an enterprise's IT infrastructure. However, IT leaders are finding it difficult to not only plan for and implement cloud technology, but also to hire qualified candidates. And part of that struggle, according to a recent study from Softchoice of 250 line of business managers and 250 IT decision makers, is a lack of qualified candidates as well as a general misunderstanding of how to create a successful cloud strategy. “There’s incredible opportunity for businesses if they move to the cloud, but with a lack of skilled resources they are not able to realize those benefits as quickly. At best, this impacts revenue and profit potential in isolation. At worst, competitiveness and market relevance suffer,” says Craig McQueen, director of Microsoft Practice at Softchoice. Businesses that attempt to move ahead without a well-researched strategy and the proper resources in place, McQueen says, risk not only implementing useless architecture, but opening themselves up to security risks and increased costs. Even if IT has the right people with the right skills to do the job, Softchoice found that some business managers are going around IT to implement cloud technology. More than 25 percent of line of business leaders said they rarely involve IT in application purchases. Of those 25 percent, just under 33 percent said they didn’t feel it was necessary to involve IT, while 12 percent said IT takes too long; 36 percent, however, said they have their own IT budget and the discretion to do what they please with it. Although 75 percent of businesses agreed that working with IT is crucial in implementing new cloud applications, 48 percent of those respondents also said they believed they could get it done faster if they worked alone. Similarly, half of IT leaders said they had to cancel initiatives due to the following reasons: time to deploy (38 percent), cost of the required infrastructure (30 percent), budget restrictions (20 percent) and a lack of the right people, skill sets or resources (12 percent). If a talent shortage and general confusion over cloud ownership in the enterprise weren’t enough, businesses also face a lack of appropriate budgets for cloud initiatives. The study found that 76 percent of respondents think their organization should invest more heavily in cloud infrastructure. And, of the same group, 94 percent of them said they were open to reassessing departmental budgets to get the right technology in house. Overall lack of resources, especially a lack of qualified talent, has led to some businesses struggling to create cloud strategies. Of those surveyed, 52 percent said their business lacked a “formalized cloud strategy entirely,” while 39 percent of that same group says they have no formal strategy but are piloting programs; 13 percent said they had no strategy at all. “Businesses are in a tricky situation, because it is very difficult to hire for these skills, and training only gets you the theoretical knowledge – not the practical experience,” says McQueen. Tayengco also points out that part of the skills shortage is also due to the growing sophistication of cloud technology, which has left businesses struggling to find a way to bridge the divide between departments. They need workers who are not only highly skilled when it comes to the cloud, but who can also understand how to adopt it across multiple departments, which also requires – at the very least – a high-level understanding of the business structure. “We see engineers who work in relatively siloed environments and do not necessarily have the larger business context of what a specific department, product or line of business was trying to achieve. Making a transition to cross-functional teams on business-critical projects, puts engineers in the nexus of business and IT in a very different capacity,” she says. As cloud infrastructure becomes more strategic, businesses want to make sure they’re using the technology as well as possible across the entire business, but it can be hard to find someone who not only has these skills, but who also understands how it touches every department. And that’s important, because the end goal of cloud adoption isn’t just about getting onto the cloud, she says, but rather it’s about hiring people who can get you to that point, and then continue to improve on the infrastructure and flexibility of the technology. For businesses looking at how to fix their cloud initiatives – or get started with one – the answer might be as simple as creating a strategy to follow. The study divided results between IT leader respondents who say their business has a clear cloud strategy and those who said they didn’t. .
For the IT leaders with a firm strategy, only 52 percent said they had exceeded their cloud budget, while 70 percent of IT leaders without a strategy went over budget. Similarly, the group with a strategy in place reported experiencing fewer cloud failures as a result of staff; 22 percent compared to the “no strategy” groups’ 58 percent. 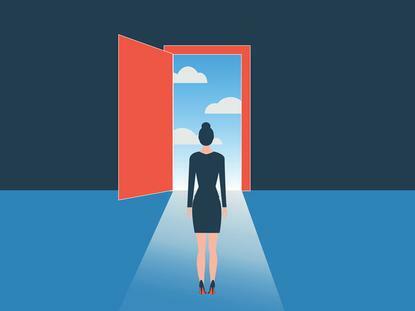 The same goes for sourcing talent; only 41 percent of IT leaders with a formal cloud strategy said it was difficult to find candidates with the right sills, while 75 percent of IT leaders without a cloud strategy said the same. For smaller businesses that feel they can’t compete with the big-name tech companies when hiring cloud talent, McQueen says to consider reframing the hiring shortage as an advantage and using your small-business status as a way to woo top talent. For an IT candidate who isn’t interested in joining a massive company, where they will likely be tied to a specific role, small businesses can promise them more flexibility to get creative and help the business flourish – even with limited budgets. For the right candidate, showing them how their efforts would be more impactful and meaningful at a smaller company can oftentimes go further than a swanky offer from a multi-billion dollar tech giant, according to McQueen. McQueen also suggest that businesses consider looking to third-party services to provide mentoring and support. That is, rather than hiring a third-party service simply to handle your cloud infrastructure, you can bring in a qualified team to help train your current or new employees on how to use the technology. In fact, you may discover that with a little training and preparation, in-house employees who had the right skills all along. Hiring a third-party expert can help get your team ready for cloud adoption with fewer risks throughout the process; it all goes back to implementing a clear and effective cloud strategy to follow through on.